Before the year comes to a close, Deanna and I want to express our heartfelt thanks for our readers and customers of Brain PathWays™. The follows, likes and comments are appreciated and we hope you have found value in our posts throughout the year. Helping improve your quality of life is our passion and life pathway. We have been creating practical neuroscience tools, products, articles, workshops and certification programs for individuals, business, education and government since 1992. As of today, you have a “library” of 103 practical application articles in categories including Relationship Success, Career Success, Academic Success and Personal Development. We are committed to carrying on our tradition of helping people “be the best they can be” in the weeks, months and years to come. Our worldwide customers and readers know that the practical neuroscience tips and strategies we pass along to you freely, are based on knowing and leveraging your brain strengths. Your personalized and comprehensive online report is based on a quick, easy and fun, statistically validated survey. Have you considered gifting people you care about with a Brain PathWays™ report? Who do you know who wants to improve a personal relationship, repair or kick-start their career, reduce stress, make better grades and get directionally aligned with their life purpose? Thousands of people like you have been amazed at how their lives have improved, as a result of their personalized and practical tools based on their brain strengths. It’s a foundation on which to build a better life; sharing this gift with the people closest to you is the best way to improve communication and harmony at home. 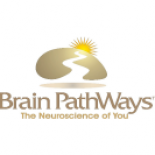 Special Offer: For everyone who orders a Brain PathWays™ report between December 22, 2012 and January 22, 2013, we will email each of you a FREE offer to ask us three questions of your choosing about your report results. Deanna and I will personally craft responses to your questions about your personal relationships, career challenges, life aspirations and any topic we can address from your report results. This entry was posted on December 22, 2012 by brainpathways in Uncategorized and tagged brain, Gift, neuroscience, Personal development, Practical Neuroscience.